The report draws on an oral history and research project undertaken by SAHA in 2010/2011 into aspects of the armed struggle for Zimbabwean independence. About 10 000 photographic negatives taken by Zenzo Nkobi, a Zimbabwean photographer with ties to ZAPU (Zimbabwe African People's Union) form a central part of this project. 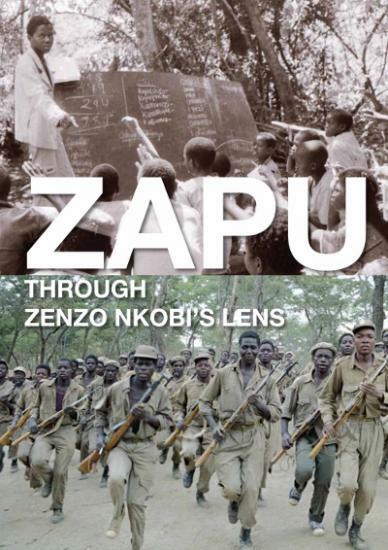 Zenzo's images provide an intriguing glimpse into the struggle waged by ZAPU's armed wing, Zimbabwe People's Revolutionary Army (ZPRA), and provide evidence of the significant role it played in combating the Rhodesian regime. Twenty-six interviews were conducted with ZAPU survivors and other individuals portrayed in the images to source a more accurate and detailed analogy of events experienced by these individuals within ZAPU and ZPRA during that period, as well as their understanding of the role played by ZAPU in achieving independence in Zimbabwe. These interviews, now transcribed and archived at SAHA, explore various aspects of ZAPU's history from its early development to its administration and leadership, recruitment and training of military combatants (ZPRA), regional alliances, international solidarity and life in refugee camps. The interviews further provide an insight into post-independence politics in Zimbabwe. The report was launched on the 8th of December 2012 at Constitution Hill, alongside an outdoor exhibition and a virtual exhibition. To request a copy of the report, please contact our offices on 011 718 2560, or email info@saha.org.za.